PROACTIVE BLUEPRINT is pleased to announce that we are moving our company headquarters to Las Vegas, Nevada, in the spring of 2019. We are excited to move to a new location and are looking forward to providing our emergency management solution to the businesses of Las Vegas. 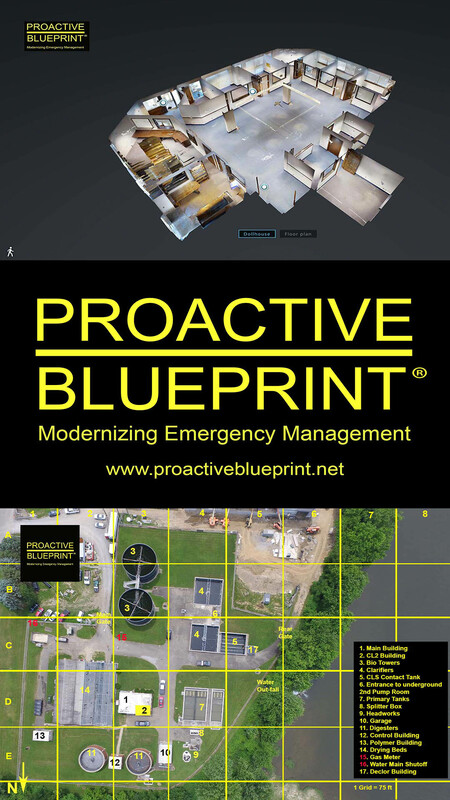 PROACTIVE BLUEPRINT was expertly designed by former military special operations veterans for the use during crisis management situations to rapidly plan and coordinate efforts needed to minimize loss of life and property. PROACTIVE BLUEPRINT provides an added level of comfort to students, faculty, business owners, venues, and parents alike, in the event of a crisis that requires assistance from emergency services. Our Aerial Reference Guide (ARG) can be used to quickly assign assembly areas for students and faculty to meet up when it is safe to exit the crisis area. Students, faculty, employees, and business owners can also use detailed floor plans to relay important information to responding emergency personnel. Emergency response personnel can use PROACTIVE BLUEPRINT, to quickly and effectively coordinate response efforts where they are needed most. Tactical teams can access PROACTIVE BLUEPRINT both inside and outside of a building, which can greatly aide in their efforts in planning a quick and safe high risk entry. We would really like the opportunity to talk with you more about our company and options for implementing PROACTIVE BLUEPRINT into your facility to assist first responders in the event of an emergency. Please feel free to visit our website, www.proactiveblueprint.net for more information or email us at contact@sabersecuritytraining.com.